We love making this yummy treat around this time of year. Somehow it's become a family tradition on St. Patrick's Day (although don't worry, we still make the traditional Corned Beef and Cabbage and Irish Soda Bread too.) 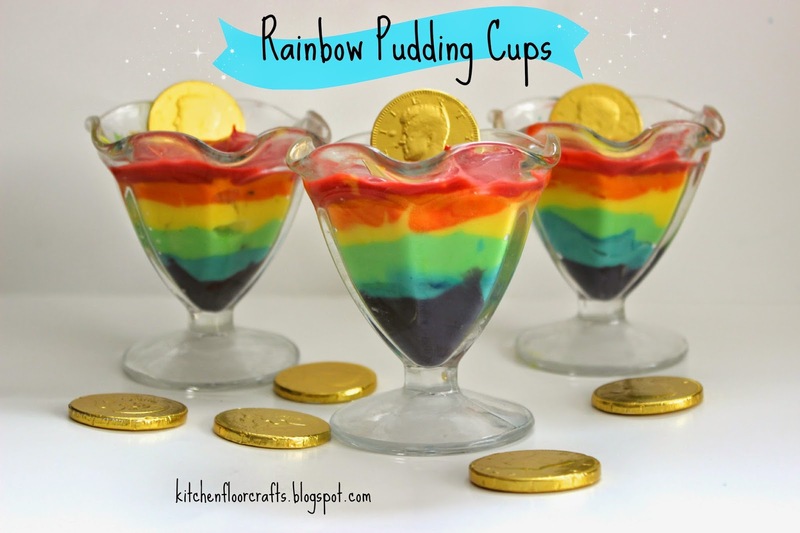 But every year it's Rainbow Pudding Cups that Big Brother asks for! What's great about this fun treat is it's easy enough for kids to make almost totally on their own! I set up the ingredients so Big Brother could be in charge of making the pudding. We followed the directions on the box. 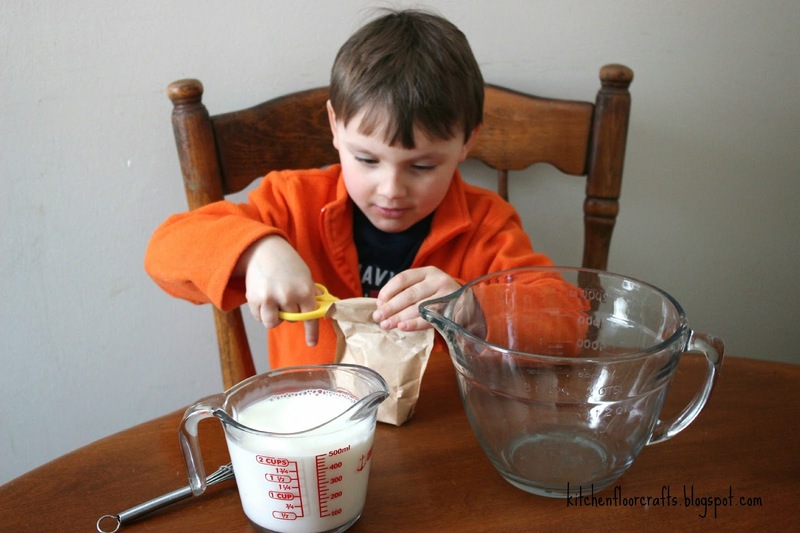 He opened the mix and added it to the bowl with 2 cups milk. 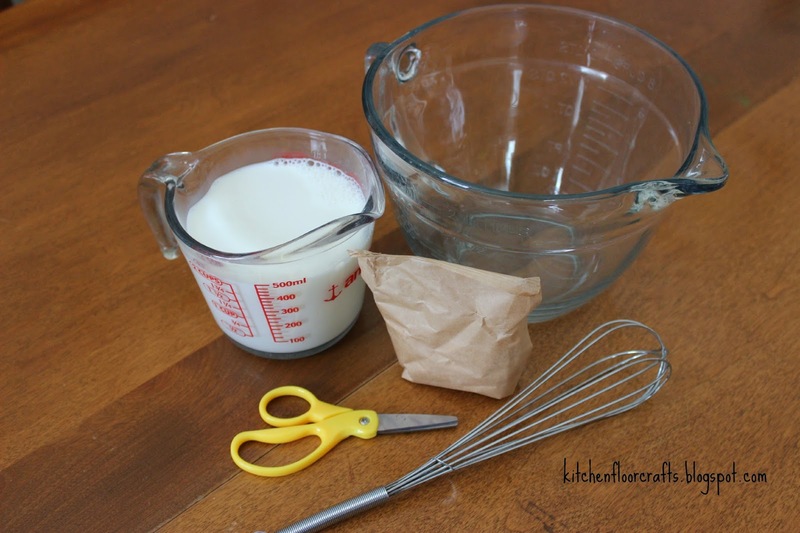 He stirred it for several minutes with the whisk. We then let it chill for 5 minutes in the refrigerator. 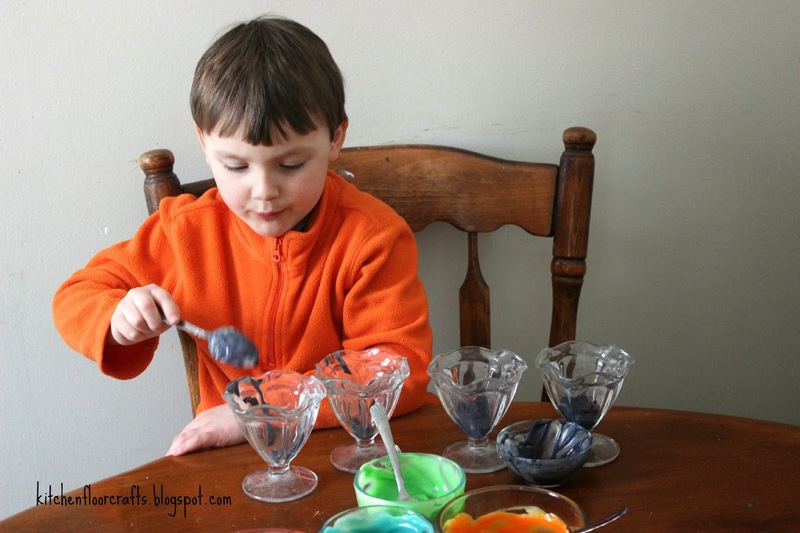 While it chilled we added food coloring to each bowl. Each bowl was a different color: red, orange, yellow, green, blue, and purple. As I mentioned above we mixed red & blue for purple and red & yellow for orange. After the pudding had chilled we divided the pudding among the six smaller bowls. Because of the shape of our dessert cups, we usually make purple and blue have a little less pudding, but if the glasses are even in shape you would want to evenly divide the pudding among the six bowls. 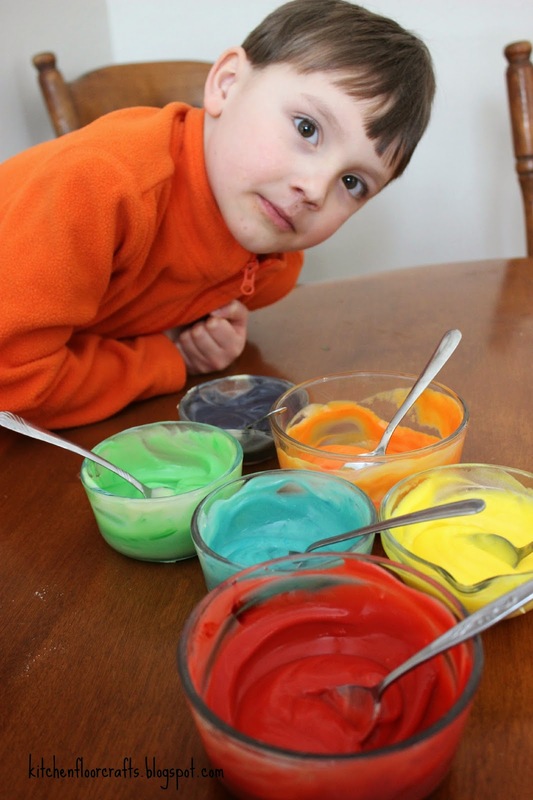 Once we divided the pudding we mixed the colors into the pudding so we had six colorful bowls. Now came the fun part of layering the pudding into the dessert dishes. Starting with the purple we put a little purple pudding into the bottom of each dish. We repeated the same step backwards through the rainbow with the other colors, so we ended with red on top. We were careful to put the next layer on top of the previous layer without mixing. 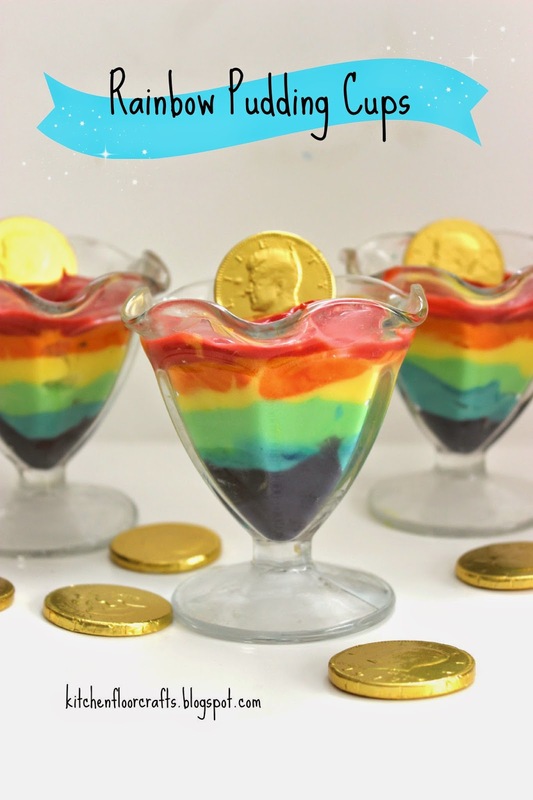 A fun and sweet way to enjoy a rainbow! I so love that you involved your son in making these cute pudding cups! 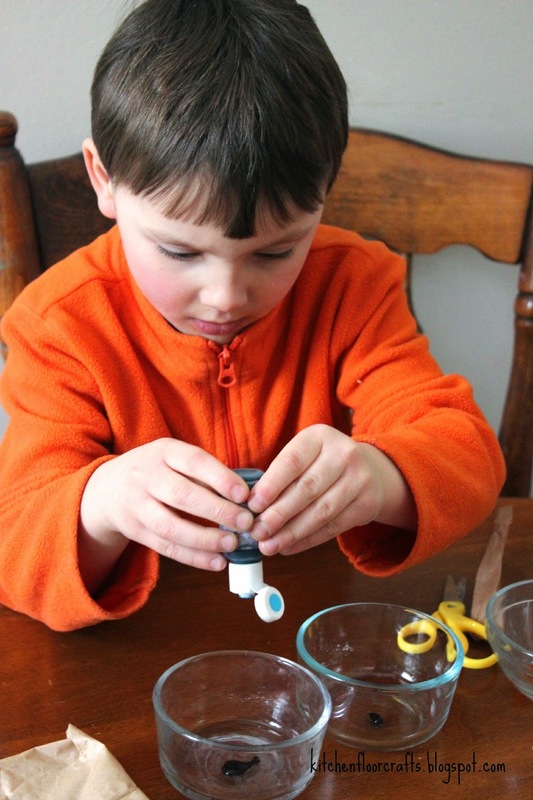 Would love see you out at our Friday Family Foodie linky party! Thanks Jennifer, I'll have to check out you linky!